Since its launch on the Windows Store, the official Nook app for Windows 8 has always been updated with free offers in order to increase the number of downloads. Read more below on this. 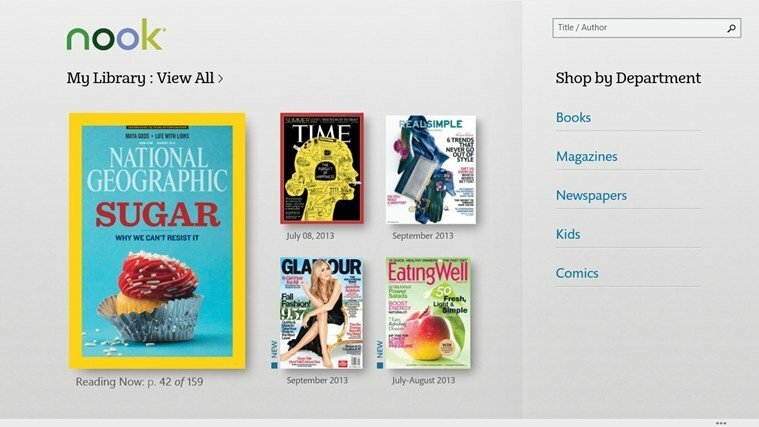 Barnes & Noble has introduced a limited time free eBook and magazine offer through the Nook App for Windows 8.1 for German users. Thus, they will be able to get completely for free top selling magazines Audio Video Foto Bild, GQ Germany, Connect, Zeit Wissen and Sport Bild. This offer is on top of what the app currently offers for users – free magazines, newspapers,books and comics for 2 weeks. 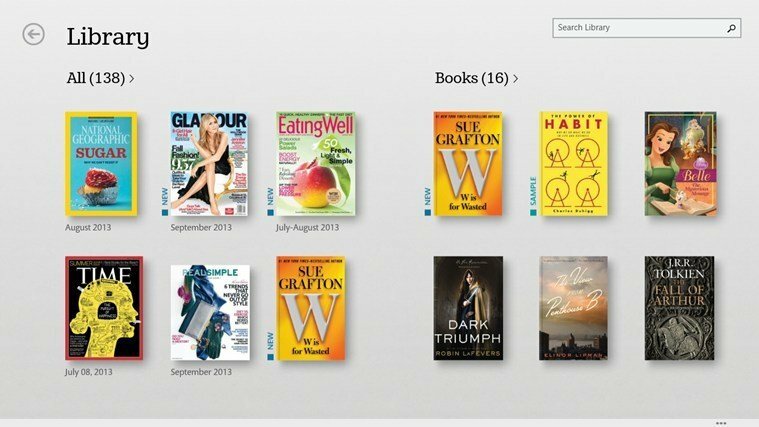 By providing top magazines and a bestselling eBook for free, new NOOK customers in Germany can start their digital libraries with some great content from the NOOK Store, helping them to experience our unmatched reading platform. The NOOK App for Windows 8.1 provides innovative features and a robust catalog of local and international content, and customers in Germany can download it now in the Windows Store and start reading today. Get an incredible reading experience with NOOK® from Barnes & Noble, one of the world’s largest booksellers. With a rich history of bookselling, our reading experts help you choose from a vast selection of NOOK books— many FREE —as well as magazines, newspapers, and comics on your Windows 8 tablet and PC, now supporting Windows 8.1. Sample NOOK Books FREE and try any newspaper or magazine for 14 days. 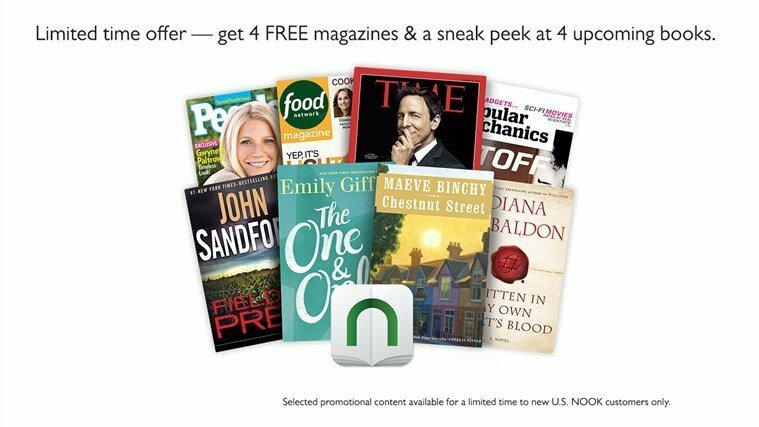 Get 4 FREE magazines and a sneak peek at 4 upcoming books when you install the NOOK app and register with a new NOOK account. These pre-selected titles will automatically appear in your library when you sign in for the first time. 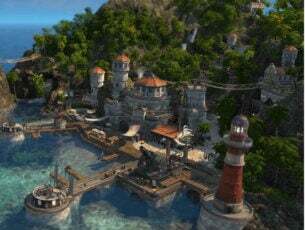 So, if you are from Germany, you should go ahead and follow the download link from below to get it.